The State Emergency Operations Center (SEOC) is currently monitoring the situation. DHSEM staff is physically in the SEOC at a level two. 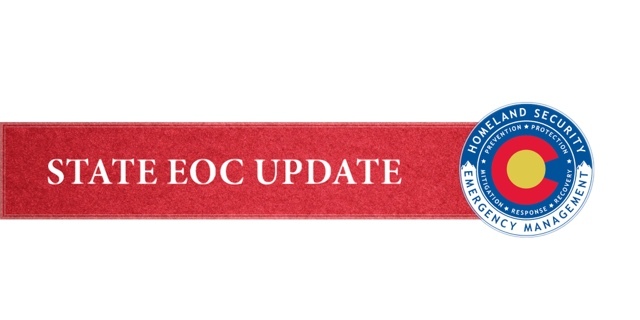 All agency emergency response coordinators are asked to monitor WebEOC from their current locations. What is a Level Two Activation? Primary DHSEM staff actively monitor the on-going incident. Command and General Staff will occupy positions in the State EOC. Selected state agency representatives are in the State EOC. Notification is made to all remaining state agencies and other support organizations to be on standby for activation.